After sharing screen space with movies like 'Yem Maya Chesave', 'Manam' and 'Autonagar Surya', Samantha and Naga Chaitanya are going to romance again with 'Majili' movie. As the movie is going to be the first collaboration of Samantha after their wedding, the expectations have been very high on this project. Shiva Nirvana of 'Ninnu Kori' fame helmed this project. 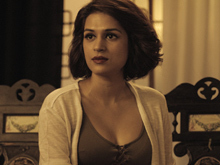 Divyansha Kaushik played the female lead in this movie and the recently released teaser of the film has garnered positive response from the audience. 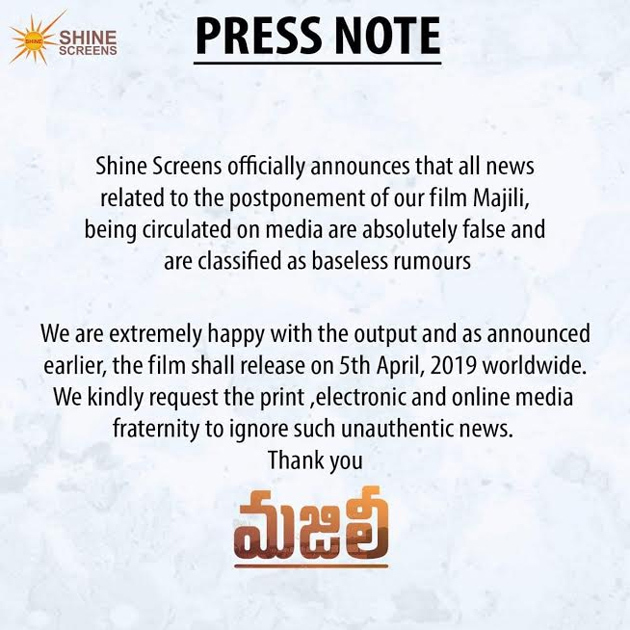 The Akkineni fans were worried as rumours erupted that 'Majili' movie got postponed but clearing the air, the production banner Shine screens has released a press note rubbishing the rumours. In the press note, they have mentioned that there is no truth in this rumours as they are absolutely baseless and the movie will release on April 5th as expected.